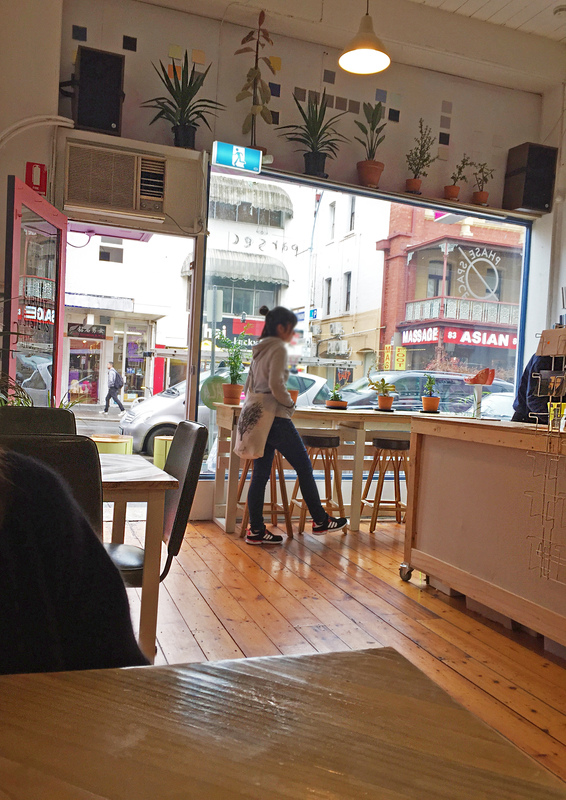 Parsec Cafe has a very warm and homely feel with the same comfy chairs I have in my own home, simple wooden interiors and cute pot plants. 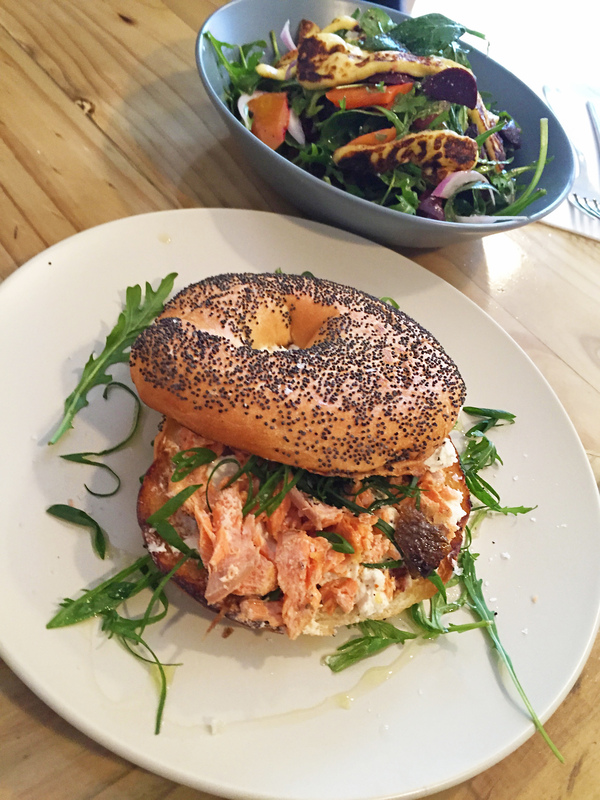 The open plan kitchen also adds to the homely feel as you can watch your food being prepared with beautiful smells filling the cafe. 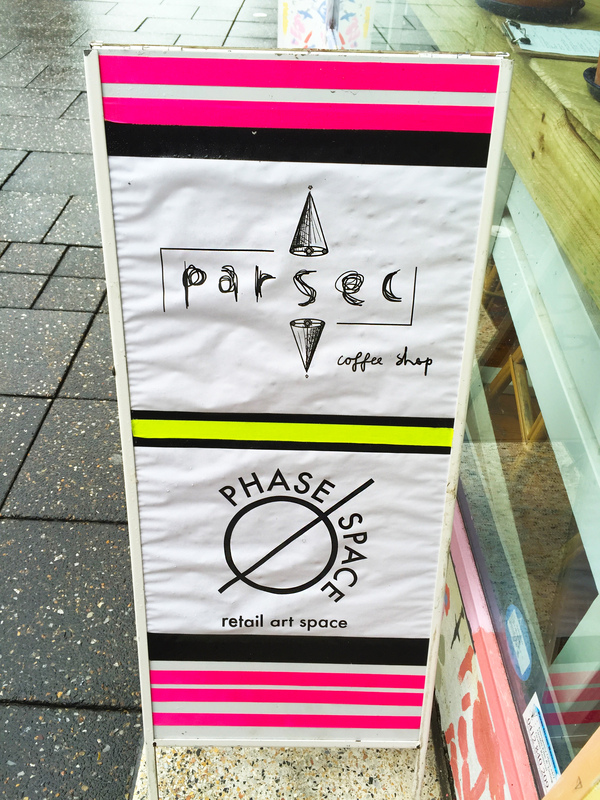 The front of Parsec is occupied by Phase Space with locally designed jewellery and different knick knacks. 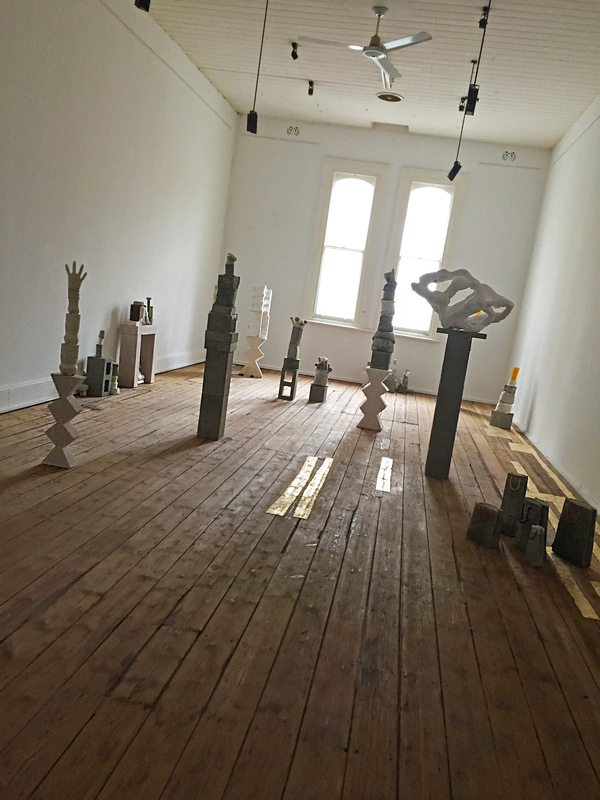 Upstairs is an art space filled with an exhibition called ‘Happy Mediums’ which features objects such as Maccas straws and bricks set in concrete. I’m not a particularly artsy person but I thought this was pretty cool! And it gives Parsec Cafe a totally unique atmosphere. 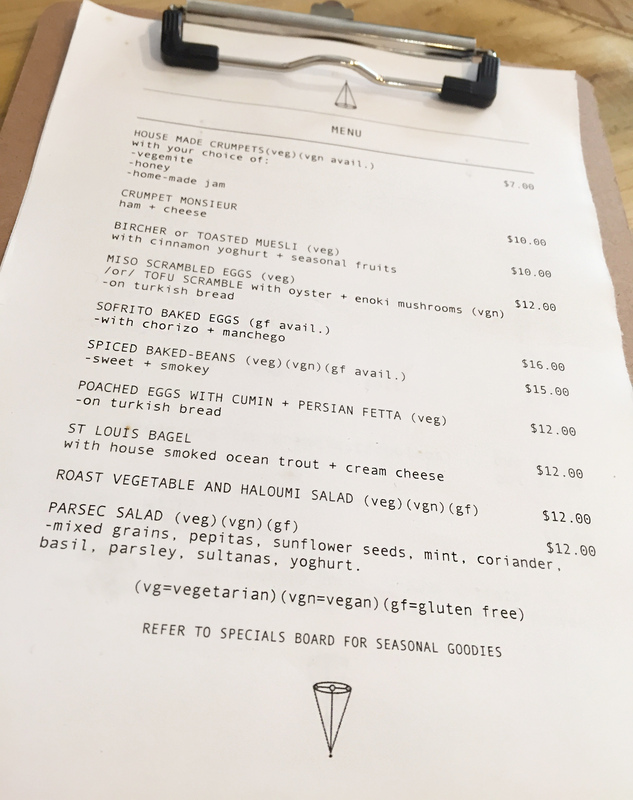 The menu is simple and consists of breakfast and lunch options including house made crumpets, miso scrambled eggs and even a salt and pepper crocodile salad which I was considering trying but chickened out in the end 😛 There are vegetarian, vegan and gluten free options on this menu which is definitely the trend these days, so it is great that they cater to everyone. 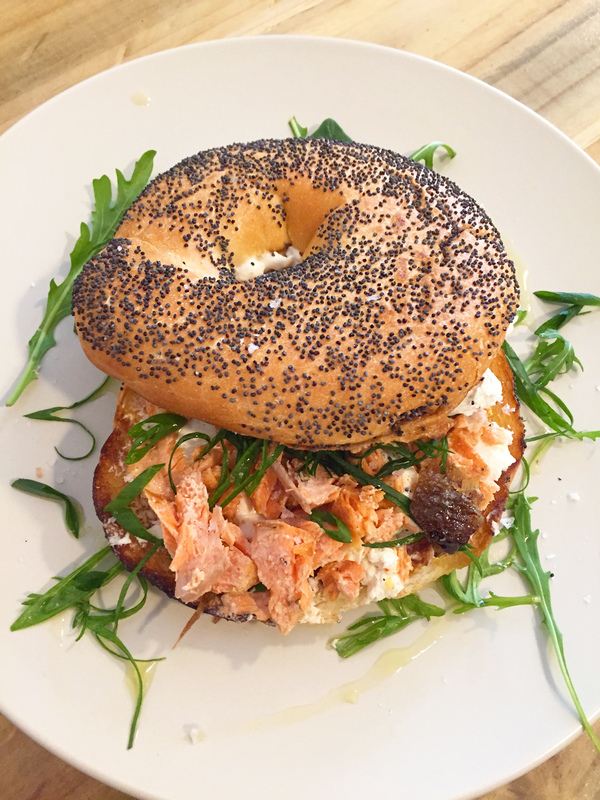 I opted for the St Louis Bagel with house smoked ocean trout and cream cheese. For only $12 this was such a great sized and quality lunch. I loved the crispy skin on the fish and beautiful lemony flavours. There was perhaps a tad too much cream cheese for my liking but this is a very small criticism since I polished my plate clean! Very delicious indeed. My cousin ordered the Roast Vegetable and Haloumi Salad. It was fresh and tasty with the perfect amount of dressing. However it only included carrots and beetroot so it could have benefitted from another vegetable to add to the flavour. There also could have been less rocket and more haloumi. But since Parsec has only just opened up I’m sure over time this dish will be tweaked. 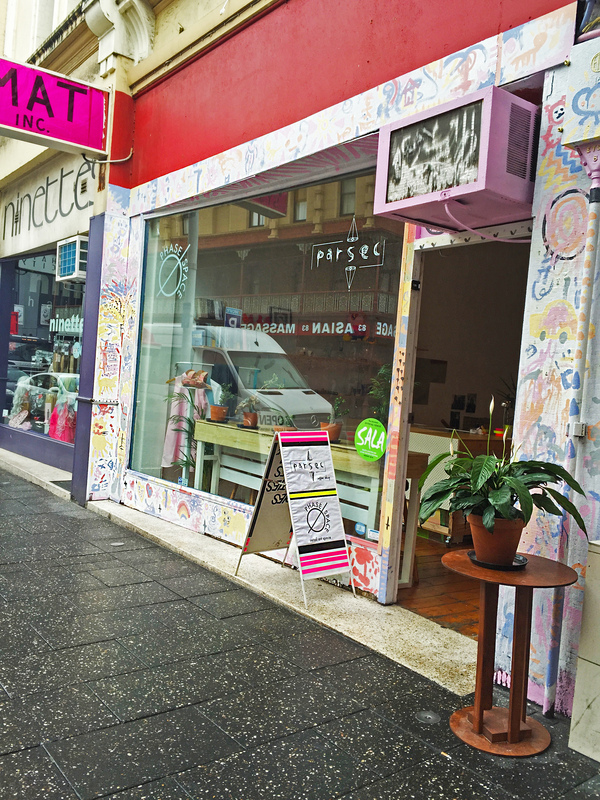 Parsec Cafe has such a great atmosphere and the potential to grow into one of Adelaide’s most popular city eateries. 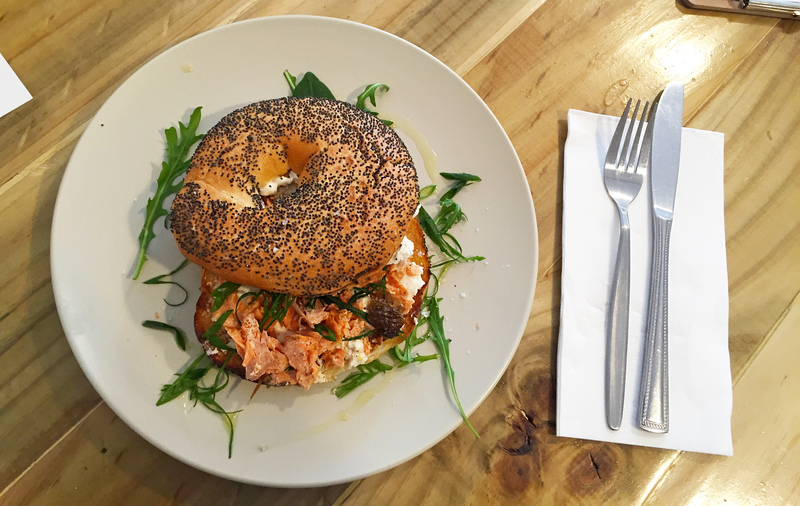 This is a great brunch spot with options for every diet type and very delicious food that I’m sure we will see evolve over time. I will definitely be returning in the future!